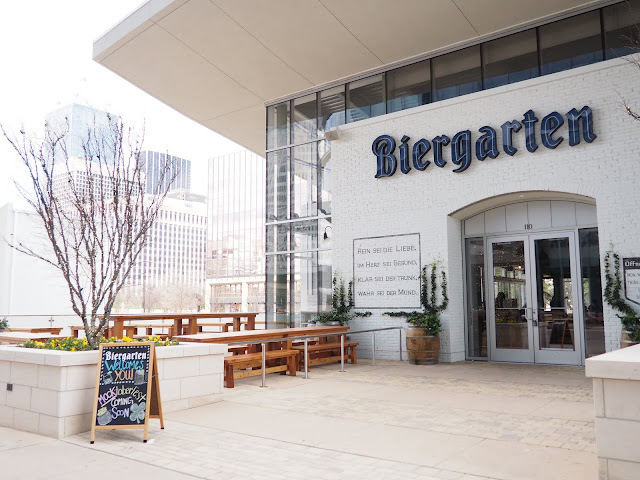 Take a step into Biergarten, and you're transported across the sea to Germany. 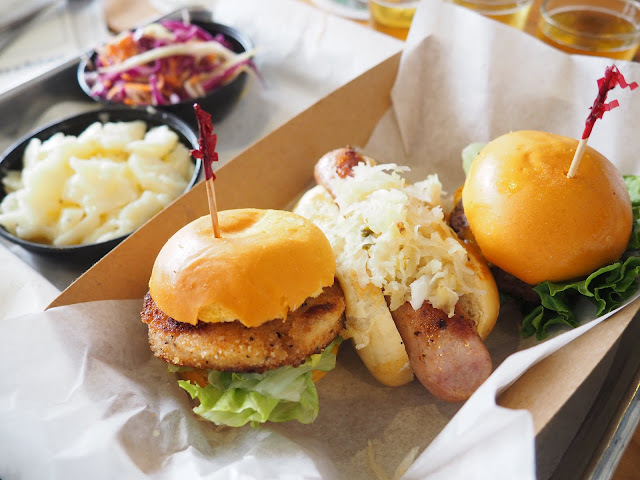 A menu that at first glance looks like you may never understand it, reveals itself to be full of food you can't wait to eat. 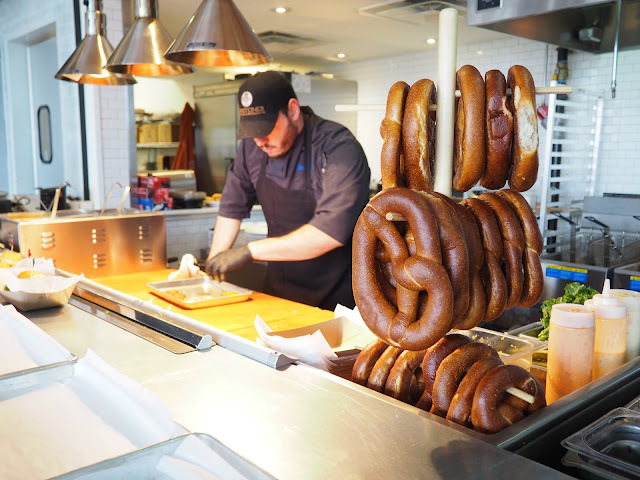 Plus, an open view into the kitchen with a pillar of pretzels will get your mouth watering! 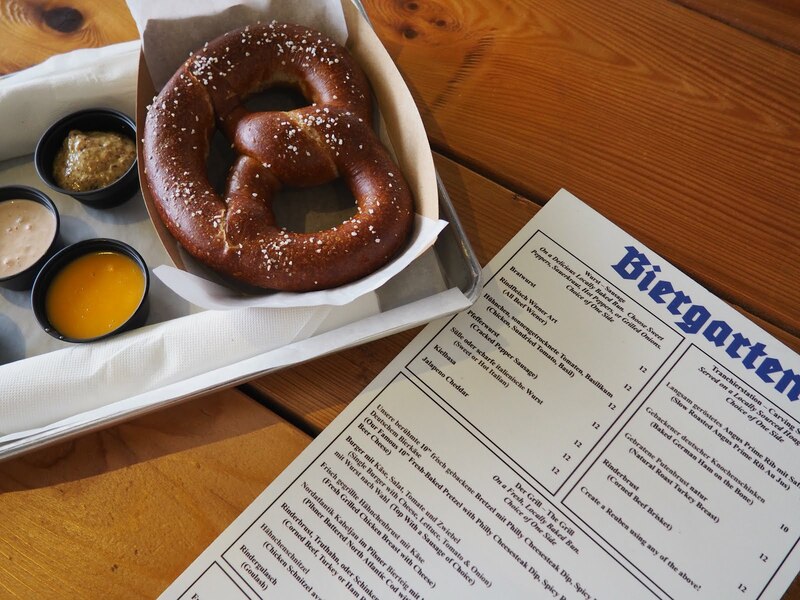 We started off our visit with the fresh-baked pretzel, which was the perfect balance of sweet and salty - paired with five different dipping sauces. We devoured it in minutes! 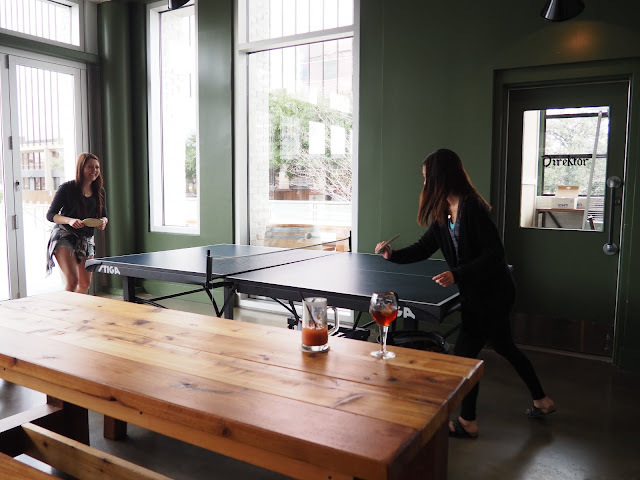 Next we got a sneak-eat of what is in store for this March. Enjoy Biergarten's Mocktober Fest all month long with a bite-sized Hahnchenschnitzel (Chicken Schnitzel), Ein Burger, and Bratwurst. Chef Chris, creator of these delectable flavors, uses potato breads delivered fresh daily from Signature Bakery just around the corner. My personal favorite was the Chicken Schnitzel that was topped with a fresh vegetable relish. The entree also comes with a side of authentic German potato salad and cole slaw. I'm not too embarrassed to say that we were a little lost at which beer to try. All, except for one beer, are from Germany, so the names were a little hard to get right. Luckily, the staff was eager to help lead us through the extensive options. We learned they have a beer for everyone. 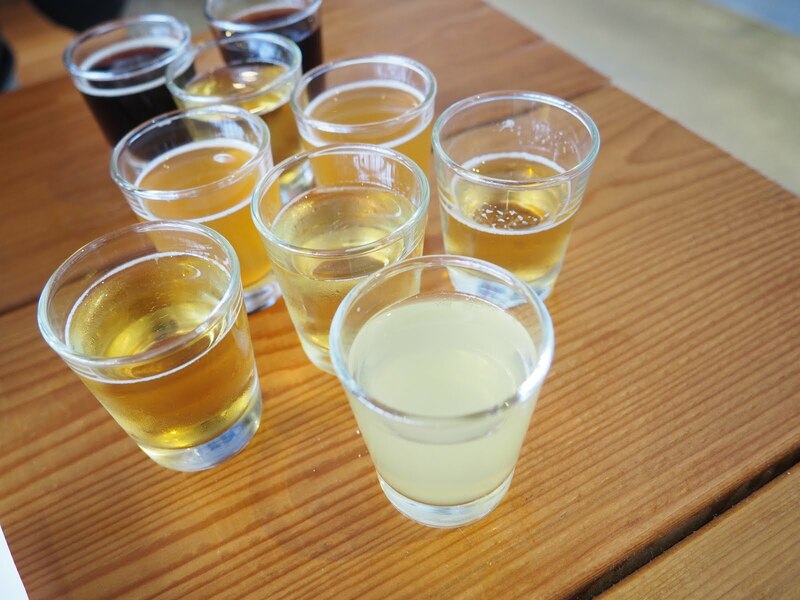 Even those who would prefer a cider could learn they are a beer lover by the time they leave. Don't forget to ask about the oldest known pilsner that they have on tap - it's one neat history lesson. I cannot say enough just how much fun we had while we were at Biergarten. It may have been the drinks, but I think that I can safely say that the staff was incredible and so friendly - we just didn't want to leave. Plus, who can turn down a game of ping-pong?! 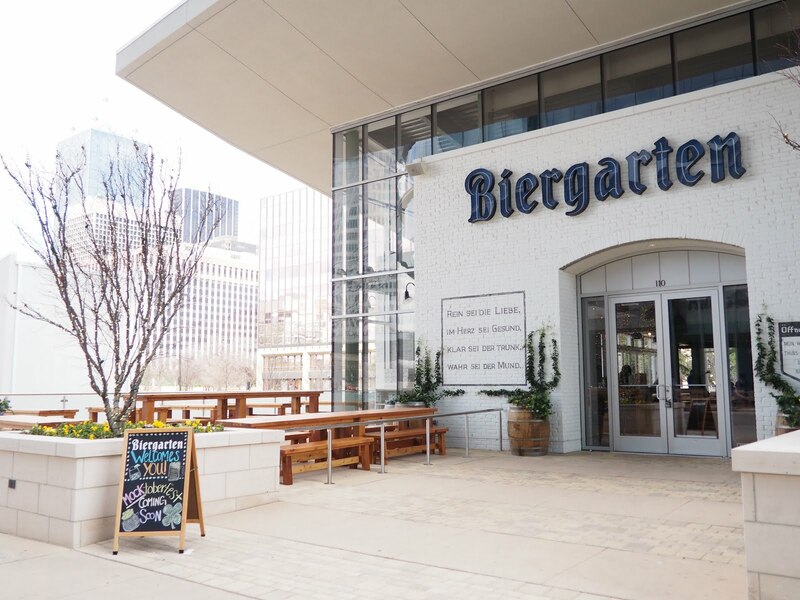 Centrally located in Downtown Dallas, right across from the Omni Hotel, Biergarten flaunts a breathtaking view of the Dallas skyline. Not a bad sight to see while enjoying some good ol' German beer and food.